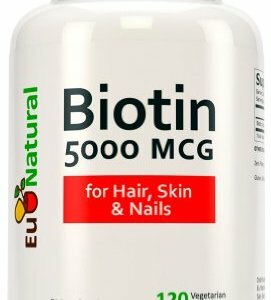 Eu Natural Biotin 5000 mcg promotes hair growth, healthy skin, and strong nails. 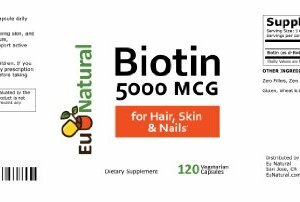 It is a coenzyme and a B vitamin, also known as Vitamin H.
The key ingredient of Biotin is used for preventing and treating biotin deficiency. 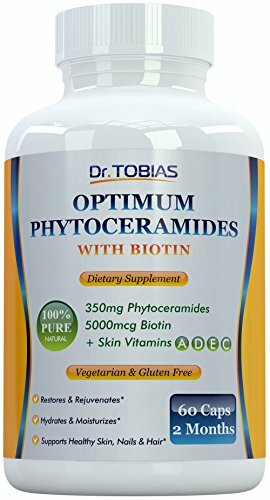 The extra strength formula contains pure, pharmaceutical grade, Biotin to support active cellular energy production. 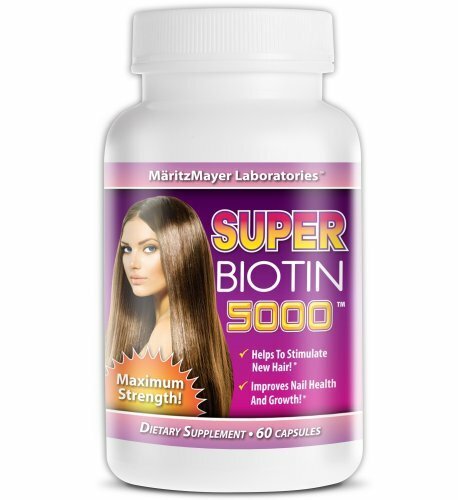 Biotin is an important component of enzymes in the body that break down fats and carbohydrates. 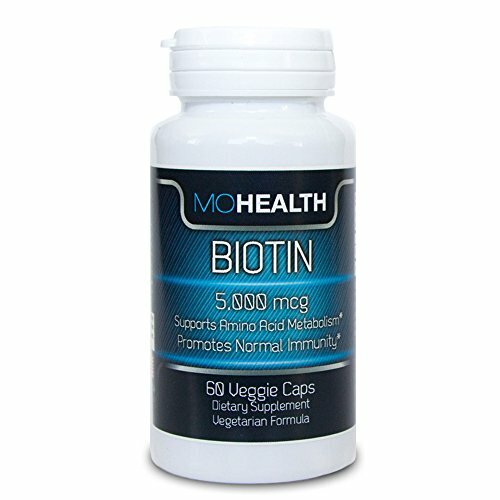 Made in the USA, each production batch is meticulously analyzed to Strict FDA Standards by a cGMP Certified Laboratory. 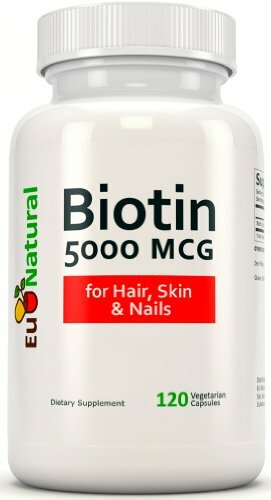 Try Biotin risk-free! Backed by our 100% Money Back Guarantee!